WHICH SIDE OF YOUR BRAIN IS MANAGING YOUR MONEY? 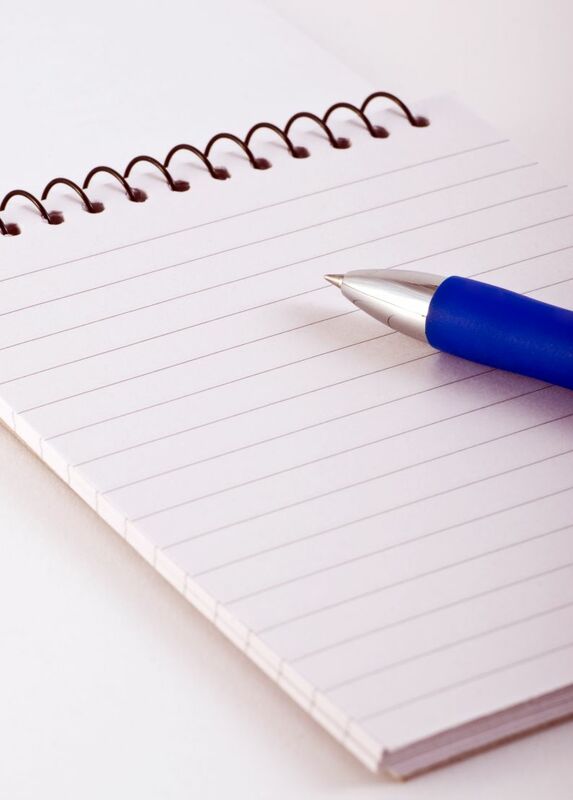 A notepad and pen together cost £1.10. The notepad costs £1.00 more than the pen. How much does the pen cost? Sixty-four percent of people say 10p. That’s the wrong answer. The right answer is 5p. The notepad costs £1.00 more than the pen. So the notepad costs £1.05 and the pen 5p, together they cost £1.10. ‘But I can do simple maths’, I hear you cry. Of course you can but sometimes we don’t bother to stop and work things out. And in the case of the notepad and pen question the brain thinks it can take a short-cut. After all, £1.10 and £1 carve up nicely into a difference of 10p, so that’s the answer we give. The brain is a clever, complex piece of kit. But it also doesn’t like to do more work than necessary. So it automatises lots of its processing, and relegates all kinds of decisions to the unconscious, intuitive part of the mind. That’s good most of the time. If it didn’t you’d have to work out every morning whether your socks go on before or after your shoes and whether that arrangement of features on a human head represents your partner’s face! But automatising some things gets us into trouble. Aside from being a quirky bit of fun to catch out your mates with, this question also reveals something deeper about people. It can also tell us how good they are with money. In a recent study I did, in conjunction with first direct, almost two-thirds of the sample got the question wrong. Those people were also more lax with their money. They had more credit card debt and fewer savings. This study is the first to show a link between a person’s style of thinking and their personal finances. The notepad and pen question is adapted from a test of Cognitive Reflection (Frederick, 2005, Journal of Economic Perspectives). I’ve called people who give the right answer ‘reflectors’. They use careful, logical thinking; a style linked to left-brain processes. Those who get it wrong are ‘intuitors’ and more right-brained. They are more impulsive and go along with their gut instinct, even though it’s wrong. Someone who is more left-brained and able to stop and reflect can also suppress the need for immediate reward (buy now, pay later with credit) and will give more consideration to the long-term (invest now, benefit later). Intuitive people can’t suppress the first answer that springs to mind. They’re the kind of people who live for the moment and avoid putting effort into anything that doesn’t bring short-term gain. This was linked to poor money management, such as only making the minimum repayment on a credit card. Economists have only just begun to analyse how a person’s cognitive skills relate to their financial decisions. Irrational financial decision-making is the subject of a fascinating field of study called behavioural economics. - Or the strange fact that people are willing to pay more for something when buying with credit card than they would pay if they had to hand over the cash. Right-brained people might feel dissatisfied with their bank but because they don’t stop and reflect and they’re not great at decisions involving effort, they don’t change it. In the study 43% of intuitors had been with same bank since leaving school (for some this was thirty years or more)! This is irrational given how much choice there is now and the cash incentives for switching. For example, first direct gives a satisfaction guarantee. They’ll pay people to switch and if they’re not completely satisfied, they can leave the bank and receive a further £100 for their trouble. It seems a no-brainer to me. · 1 in 3 people over the age of 55 have always been with the same bank. · Only 1 in 5 young people (18-25) pay off their credit card balance in full every month. Great news that the new coalition agreement published today (20 May) confirms the Con/Lib’s commitment to introduce a new service where you’ll be able to get free impartial advice on money matters via face-to-face, telephone and online sessions. While this was the plan under the Labour government too, it’s reassuring that they haven’t pulled the plug on this idea. The only difference is that instead of the cost being shared between the government and the financial services industry, it’s now going to be totally funded through a social responsibility levy on the financial services sector. Another spending cut that’ll be hidden to most of us, although you bet the industry won’t like it! Don't make an issue out of giving! 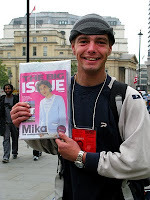 A funny thing happened to me as I walked to a meeting in London this week, across Covent Garden and Leicester Square. A Big Issue seller caught my eye around Cambridge Circus (I’ll leave you to ponder that image) and, as there was no-one else around (to diffuse my responsibility) I gave in and bought a copy from him. I only had a fiver. So I gave him the fiver and he gave me the BI. I tucked it under my arm and, spotting it there, the next three BI sellers I passed on my walk all chirped up with happy greetings, like ‘God Bless Ya Luv’. Each one made me smile and feel warm inside. Not like the shifting discomfort I usually feel as I try to sneak past them and not buy. It was the best fiver I’ve spent in ages. Not generous. Pretty mean actually. What I’d done was give just one measly fiver to charity. That’s actually a mean-spirited, less-than-the-price-of-a-glass-of-wine, stingy amount to give. And I’d got so much more than a fiver’s worth back! Those friendly guys were brimming with appreciation and had brightened up my morning - plus I didn't have to skulk across town avoiding their eyes. I was also reminded of the US research study into the link between money and happiness. Students were given $10 to spend, either on themselves or another. When their happiness levels were measured after the study, those who had spent the money on another were twice as happy as those who’d spent it on themselves. 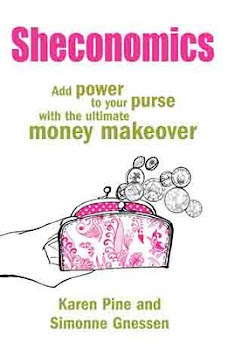 In Sheconomics we stress the do something different approach to giving our money mindset a makeover. So perhaps if we want more money we should start by giving some away? Nifty bit of tax advice for high earners. There was a change in the Budget which some may not have noticed. Anyone earning more than £100,000 may effectively pay as much as 60% in tax because the personal allowance (the amount you can earn without paying any tax) is now gradually being snatched away for earnings in excess of that sum. Those earning £112,950 or more will lose their personal allowance completely, otherwise £1 is knocked off for every £2 earned between £100,000 and £112,950. But the good news is that this can be avoided by making additional pension contributions. For example, if your taxable income is £105,000, by making a £5,000 pension contribution your taxable income would fall to the £100,000 threshold. At £100,000, your take home pay would be around £65,000 after tax and national insurance, compared to £67,000 with a £105,000 income. This means that the £5,000 pension contribution would only have ended up costing you £2,000 - in other words, worth 2.5 times more than the amount you invested. Pretty cool way to avoid extra tax!